Attica Tollway is a modern motorway extending along 70 km. 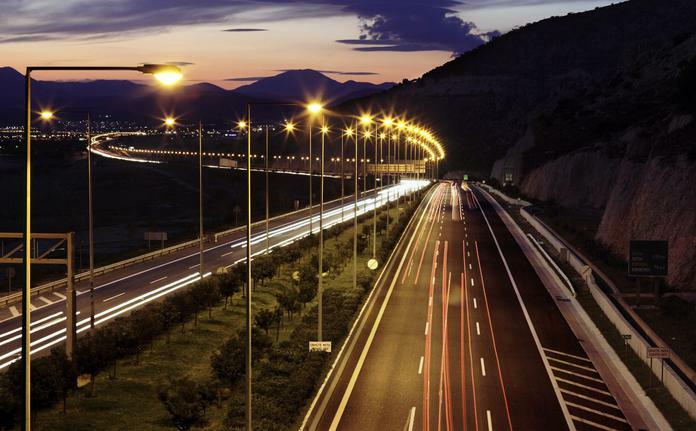 It constitutes the ring road of the greater metropolitan area of Athens and the backbone of the road network of the whole Attica prefecture. It is an urban motorway, with two separate directional carriageways, each consisting of 3 lanes and an emergency lane (hard shoulder). 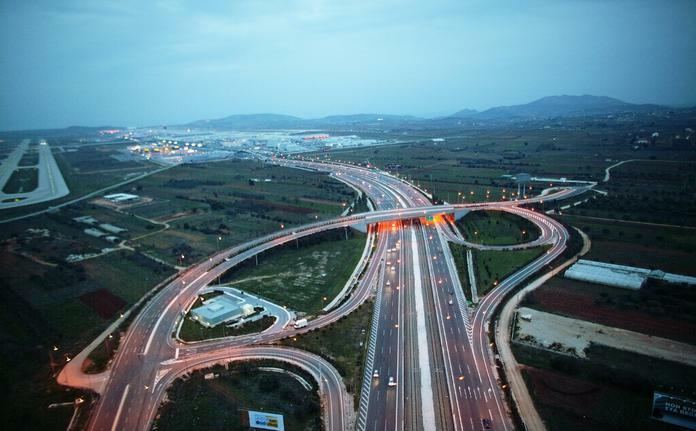 The suburban railway of Athens has been constructed in the central reservation of the motorway. Attica Tollway constitutes a unique piece of infrastructure, even in European terms, since it is essentially a closed toll motorway, within a metropolitan capital, where the problem of traffic congestion is acute. The Imittos Western Peripheral Motorway (IWPM), extending along approximately 13 km. Contributes to the residential and business development of the remote areas of Attica. Special vibration recording instruments (vibration recorders) were installed and special methods, where applicable, were used to restrict peak particle velocity to below 6 mm/sec (P.P.V) in residential districts. In addition to the usual methods of on-site concreting of conventional or pre-tensioned girders, the Incremental Launching System has also been used for constructing the superstructure of bridges. Attica Tollway passes through the three large hydrographic basins of Attica (Thriasio Pedio, Athens basin and Mesogeia) and interrupts the surface runoff coming from the Parnitha, Penteli and Imittos mountains to the sea. The morphology of the aforementioned areas, now featuring minimum natural receptors, the exponential expansion of the land use and the various types of human interventions have rendered the construction of substantial extensive flood protection works within the scope of the Attica Tollway implementation imperative. The flood protection works constructed have been dimensioned so that they are adequate not only for the existing land use (pastureland in the Thriasio Pedio and agricultural cultivation in the Mesogeia area) but also for the reasonably expected changes in the land use, which exponentially aggravate drainage conditions and are the most serious cause of the flooding problem within the Attica region. Special equipment has been used for the underground routing of rain water / sewage disposal pipes using the Ρipe-jacking method. Drain pipe impermeability has been controlled using the soil mechanics air pressure balloon method. 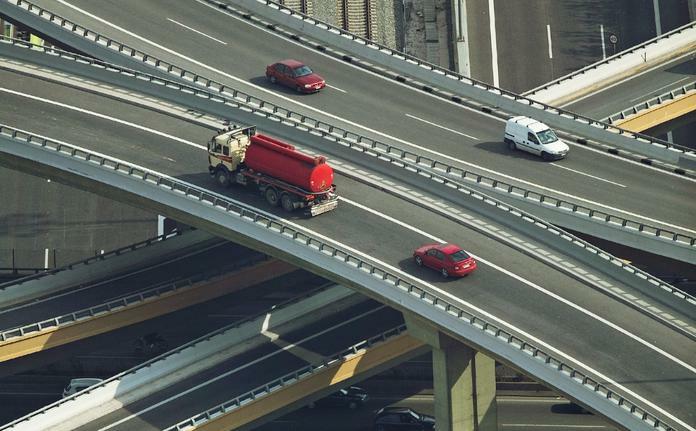 For the first time, road pavement has been constructed using the latest construction methods and mechanical equipment, reliable materials and specialized laboratory measurements and tests to ensure durability over time. High technology systems for monitoring the smooth flow of vehicles and identifying possible incidents, always with a focus on user safety. Electronic toll collection system, as well as subscription programmes, for best customer service. Installation of noise and air pollutant level measurement stations, with special emphasis on monitoring exhaust fumes inside tunnels. Special noise barriers made from various materials with high quality and aesthetic design (e.g. glass, metal, polycarbonate, bois beton etc.) to reduce noise pollution. Application of anti-graffiti coating on the exposed concrete surfaces.